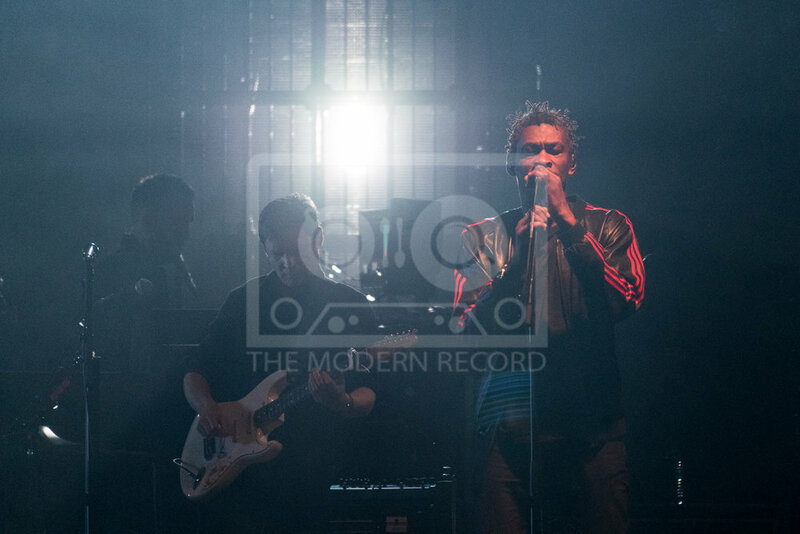 As pioneers of what music journalists came to call ‘trip-hop’ and dark electronica, Robert Del Naja’s musical collective known as ‘Massive Attack’ have never failed to defy expectations. It was on their third release ‘Mezzanine’ where they truly managed to blend dark, paranoid and fragile sounds together to create something as abstract as it is ambient; the dystopian sound of the modern world. 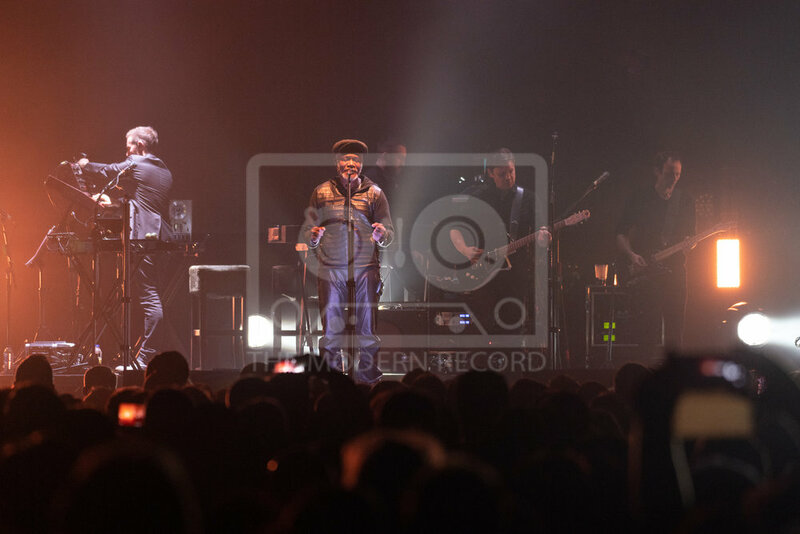 Massive Attack kick off the 20th anniversary tour for 1998’s Mezzanine at the SSE Hydro in Glasgow, giving fans the first taste of how Mezzanine is recontextualised 20 years on. Performing their seminal album in a large arena provided many outcomes for the performance. 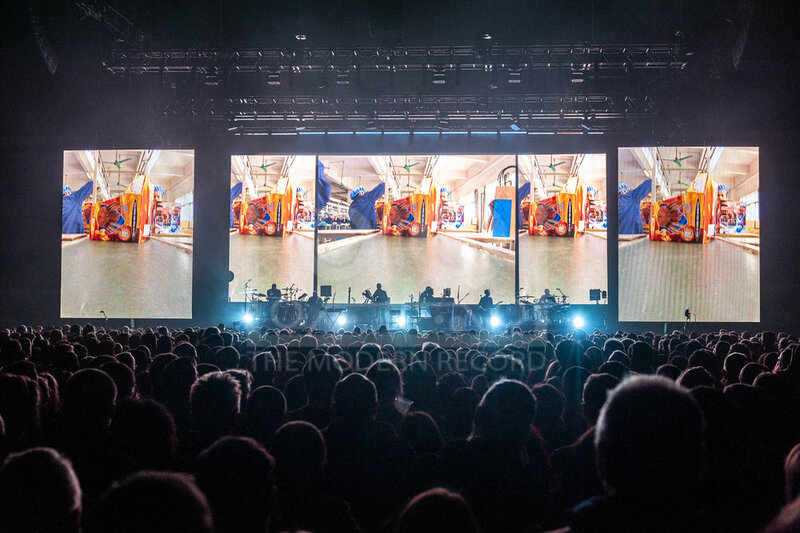 One such outcome was the psychoactive effect it had on a large audience of people, evoking fear in some ways due to the social unrest shown to the crowd through the images on the screens. The downbeat and midtempo electronica lulled much of the crowd into a trance-like state. However, there is an obvious paradox created in performing an album that is so close, personal and dense in a massive space. Some of the connection achieved with the listener on the album was perhaps lost in a live setting and some cuts did not fill the room as much as others. 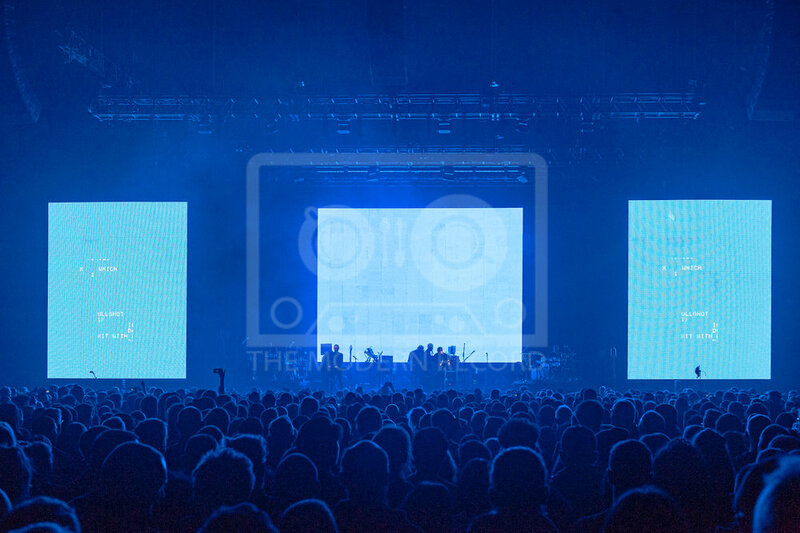 Massive Attack achieved an interesting and thought-provoking celebration of their magnus-opus ‘Mezzanine’ successfully recontextualising its dark ambience to fit with in modern world today with striking imagery and a haunting live show.